Medical sales representatives know that if things are going smoothly, it’s only a matter of time until crisis strikes. Why? Because crisis comes with the territory. Recognizing it and addressing it are critical. Listen as Mace Horoff discusses avoiding delay when it comes to crisis and how it could impact your career long term. 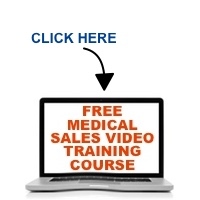 Tell me your situation in medical sales and I’ll tell you the ONE THING you should do NEXT, customized specifically for you, absolutely FREE. Previous PostSelling to DoctorsNext PostDrop “The Drop-By” Mentality – It’s Costing You!